A new job listing shows Google is seeking a "multimedia chip architect" who can "lead a chip development effort" and "work with other engineers to take chip to product shipment." The phrasing of the job posting suggests Google is about to get a lot more serious about designing and perhaps building its own processors, following in Apple's footsteps. The job posting comes from the company's Pixel team, which recently announced its high-end productivity tablet, thePixel C, a person close to the matter tells Business Insider. The chip effort suggests a significant expansion of Google's ambitions in the hardware business, giving it a deeper-level of control over its products as it competes more directly with Apple, which develops everything from the silicon to the software found in iPhones and iPads. "Normally, I wouldn't read too much into a job posting because often system designers need people with chip-level expertise," chip analyst Jim McGregor tells Business Insider. "However, with the trend towards vertical integration, especially at Microsoft and Apple, it wouldn't surprise me if Google developed their own chips, especially for Android productivity tablets to compete with the Surface Pro and iPad Pro." Google declined to comment on this job posting or its chip plans. A better chip for handheld devices? McGregor explains that it's common for companies like Google to have chip experts on staff to come up with and evaluate potential performance-improving features that they want chip-making partners to include. 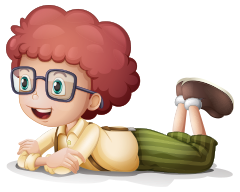 Google also spearheads various efforts, including the WebM video standard, that requires a constant stream of new intellectual property that must be included in chips made by other companies. Still, the wording in the new job posting, recent comments by Google executives, and Google's expanding ranks of engineers with chip design skills hint that the internet company may be planning a more serious foray into the chip business. The chip architect job listing specifically refers to "image processing, video processing, stabilization." Those suggest that the chip in intended for camera-related tasks, and specifically for video capture rather than just video playback, said several chip experts that Business Insider spoke to. The reference to "stabilization" points to a handheld device in particular. "If you look at where Apple and Qualcomm and all the other guys who are designing next generation chips, or touting their current chips, they all talk about how they are trying to improve the camera technology. And a big part of camera technology is being able to stabilize the image," said Nathan Brookwood, a semiconductor expert with research and consulting firm Insight 64. If Google were to go forward and make its own chip in house, it could create a full-fledged processor similar to Apple's A9 chip found inside the latest iPhones, or focus on a chip with a more limited set of capabilities that could be integrated or perhaps function alongside another company's processor. Why would Google want to make its own chips? 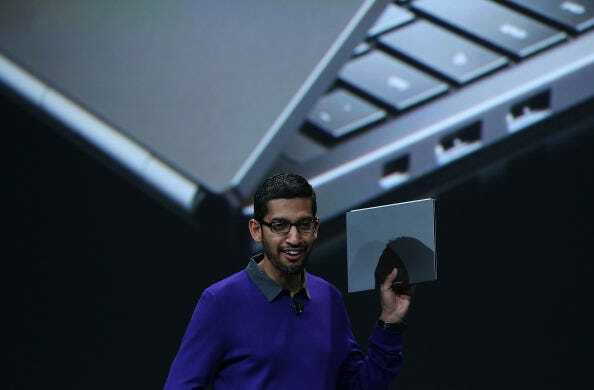 Sundar Pichai, the CEO of Google, has boasted that the Pixel C is the first tablet that Google built "end to end." By that, he means that Google created the gadget on its own, rather than partnering with PC makers like Samsung or LG as it does with the Nexus line of devices. But Google still relies on partners for the innards of the devices. 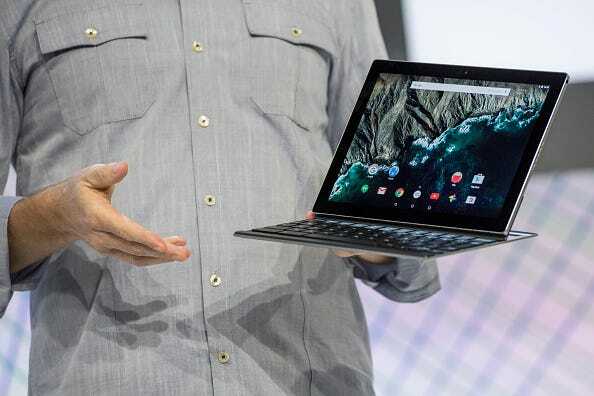 The current Pixel C tablet device, which is slated to ship later this year, features an NVIDA Tegra X1 processor. The 256-core X1 is an advanced graphics processor, well-suited for video and data-crunching. 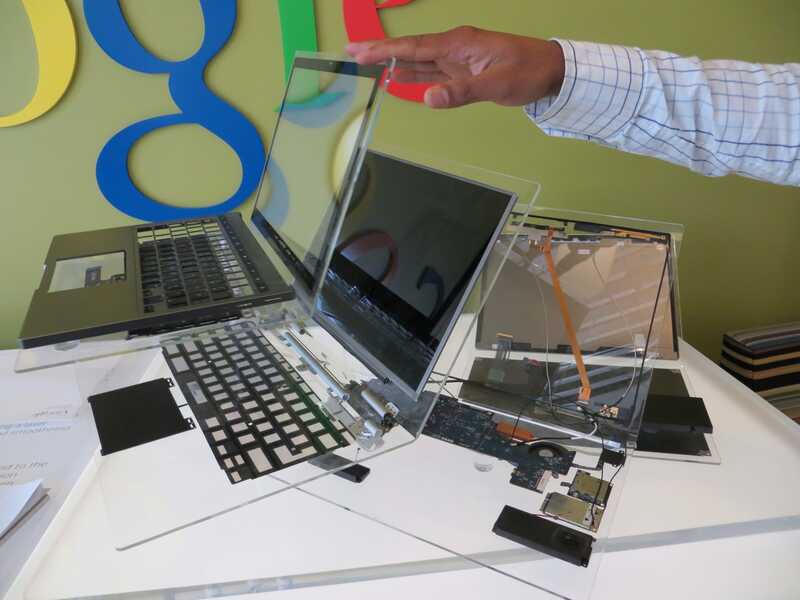 Google's existing Pixel laptop devices feature Intel chips with integrated graphics capabilities. While those chips are considered top of the line, Google is certainly playing close attention to Apple's success in going it alone on chips. In a recent blog post, technologist and startup founder Steve Charney wrote that when Apple created an in-house chip design team after the first iPhone shipped it helped "create amassive moat between itself and an entire industry." And as AppleInsider put it earlier this year, "Google and Microsoft have already reached a point where they have few options for assembling Android or Windows tablets that can compete with Apple's latest iPad at similar price points, and the chip supply for advanced phones is also down to a trickle." The biggest argument against Google creating its own chip is that unlike Apple, Google does not currently produce enough machines to cover the expense of creating the chip. Given the costs and complexity associated with the semiconductor business, the fact that Google deems it worthwhile to do in-house chip development could signal that it has plans to aggressively ramp the amount of Pixel devices it produces. Brookwood estimates that Apple poured between $50 to 100 million into research and development to make the A9 chip. But Apple amortizes those costs over hundreds of millions of devices. It ends up being an easy equation. "If you're Google, unless you sell tens of millions of units per device, then the math gets painful," he says. No one expects Google's forthcoming Pixel tablet to ship in anything close to those kinds of unit volumes. But Google has already expanded the Pixel line from laptops to tablets, and the company may have ambitious plans to become a more prominent player in the consumer electronics and hardware businesses - just look at Google's Chromecast TV dongle, which has sold 20 million devices. If Google thinks it can become that big with tablets, handhelds, and laptops, then perhaps making its own chips isn't such a tough equation after all.